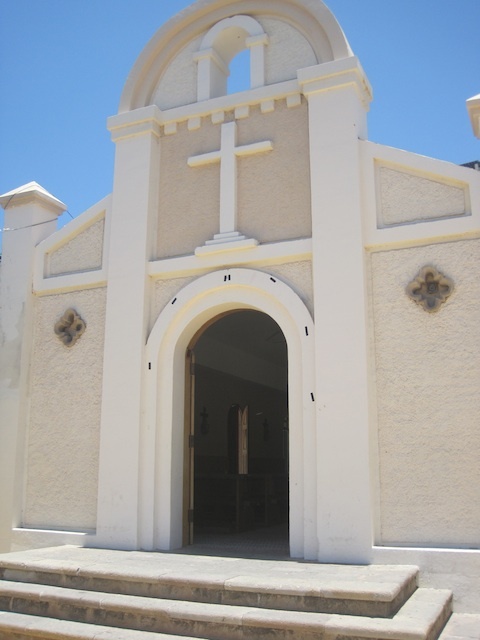 While the Misión de San José del Cabo Anuiti is the predominately visited Catholic Church in Los Cabos, Inglesia Catholica de San Lucas is also worth a visit. 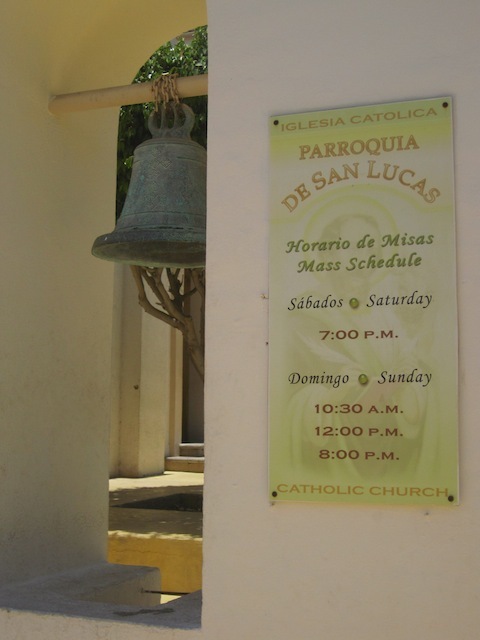 Inglesia Catholica de San Lucas is the Catholic Church in the heart of downtown Cabo San Lucas. This is the most widely attended church in the area. Visit during December 12th and you can see the celebrations for the the Feast of the Virgin of Guadalupe. Mass is offered on Saturday evenings (7pm) and three times on Sundays (10:30 am, 12:00 noon, and 8:00 pm). You can attend bi-linigual (English and Spanish) services on Saturday and at noon on Sunday. If you are looking for a Catholic wedding in Cabo San Lucas, this small church makes for a beautiful ceremony.